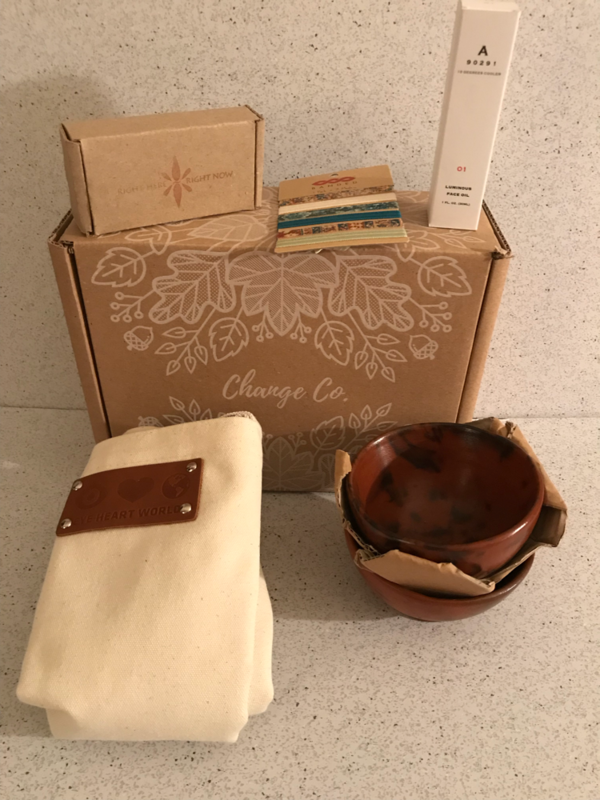 Change Co. is a quarterly Subscription Box containing socially conscious products. These products support artisans in places like Haiti and Uganda. You’ll receive 4-6 products at the beginning of each season. Cost is $49.95 quarterly. They ship to the U.S. and Canada. Shipping to the U.S. is $6.50. Shipping to Canada is between $15-$25 depending on the weight of the order. 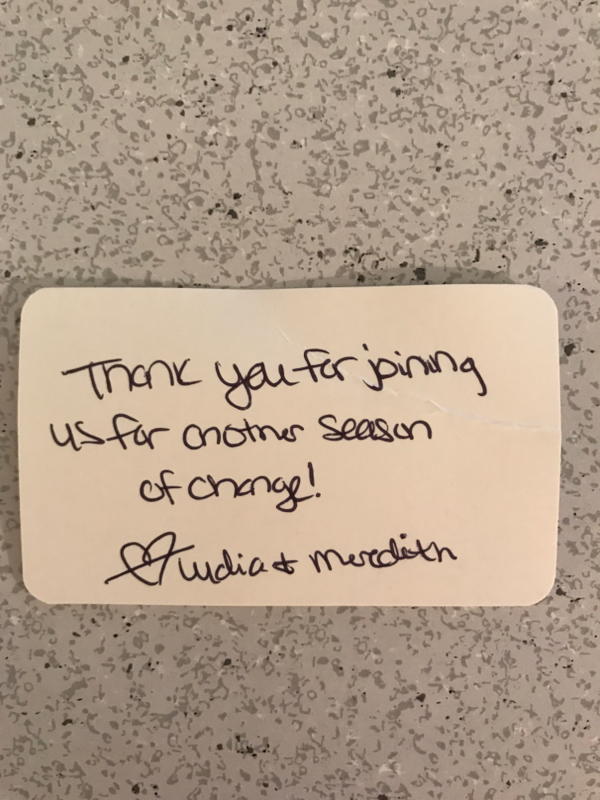 This nice handwritten Thank-You note was included. I love when companies thank their customers. 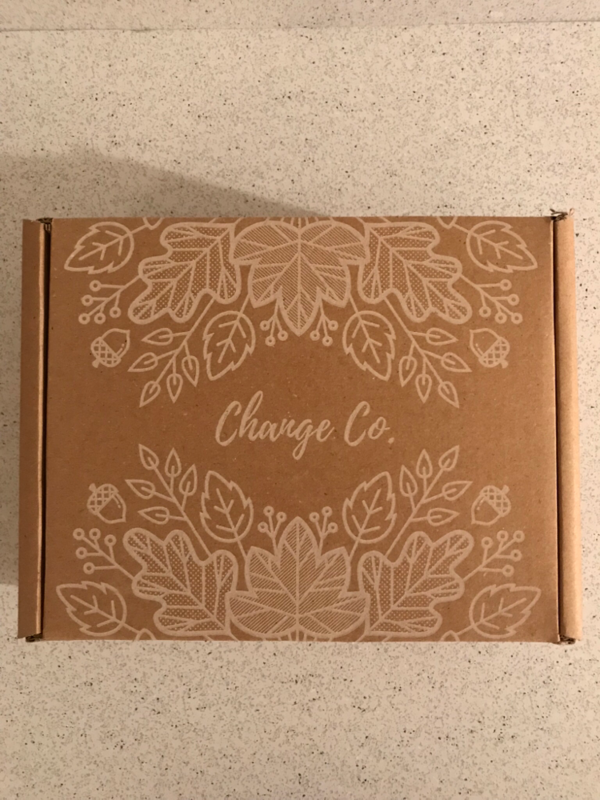 Every Change Co. box comes with this detailed magazine explaining what the products are, who made the products, how they made the products, and who the products help benefit. 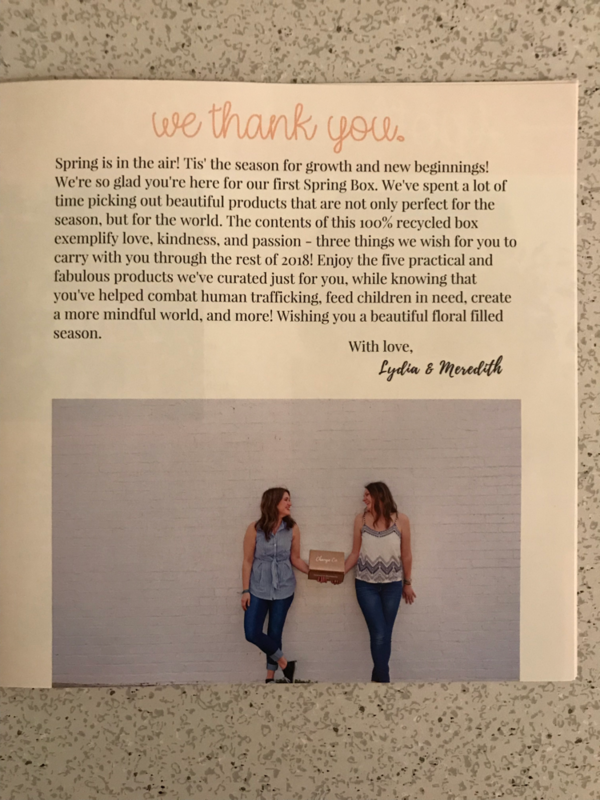 This is the first page in the magazine with a Thank you from the creators and saying what the contents of the box exemplify and how the purchase of Change Co helps combat human trafficking, feeding children in need, creating a more mindful world, and more. This box contained 5 products and I really think you’re going to like what you see. Let’s get to the products. 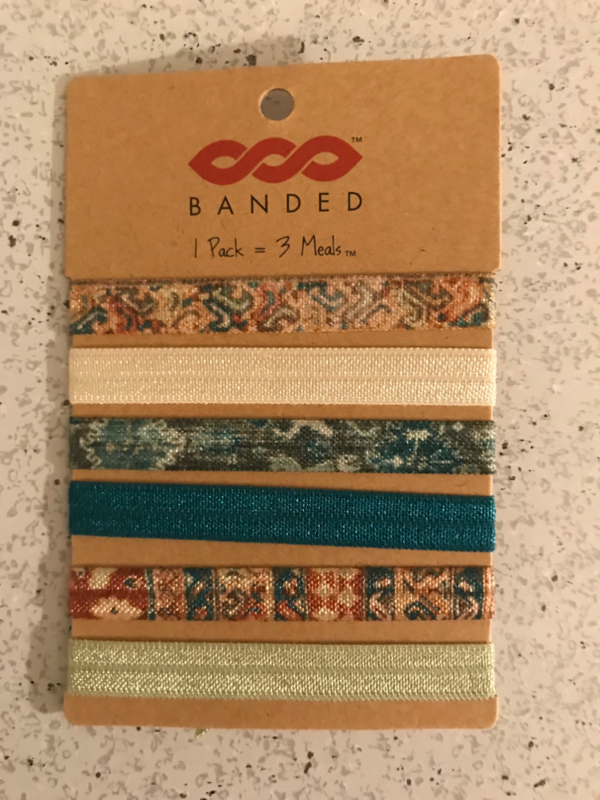 Banded 6 Pack Hair Ties. Retail Value $6.98. 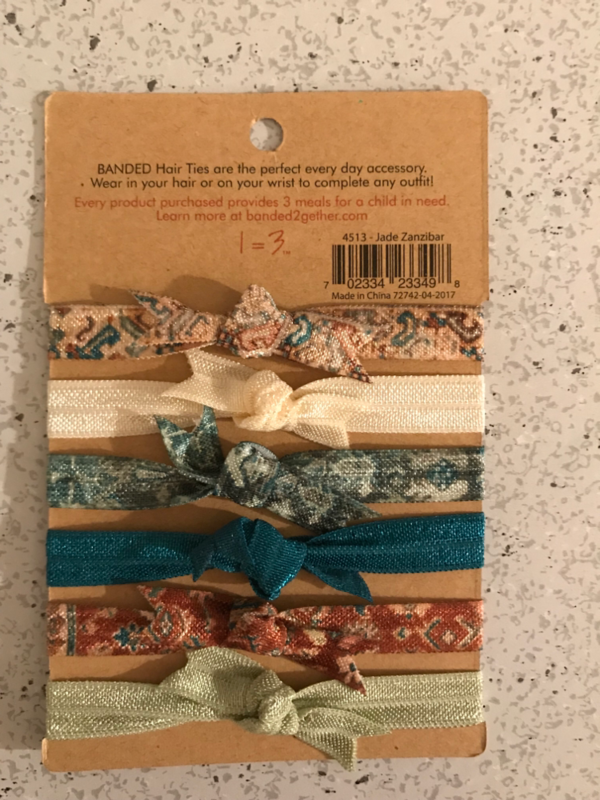 The design of these specific hair ties is Jade Zanzibar. I absolutely love these types of hair ties. They prevent your hair getting in knots. Plus with the purchase of every Banded product they provide 3 meals for children in need. I also really like these colors. I find them very unique and not something that you see all the time. Inside this box is Right Here Right Now Rear view mirror bump. Retail Value $6.99. I took a picture of this because it’s a great thing to do. To stop and be grateful. 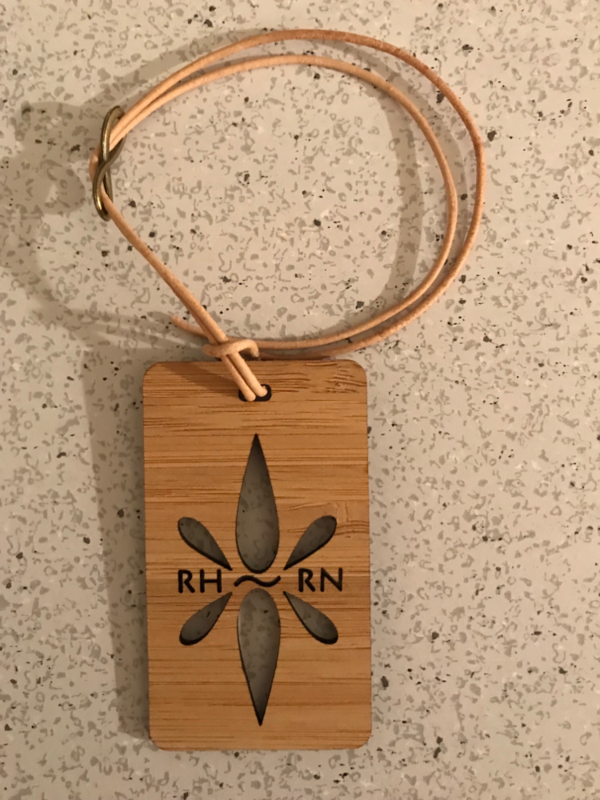 This hangs on your review mirror and is adjustable. When you look at it when your stuck in traffic or just in your head-like me, you’re to take a breath look around, and find something beautiful. The theory is that the more present you are the more enjoyable ride you’ll have. I truly believe that little reminders like these really do work, if you take the time to make them work. Also included was a 10% off coupon to use at Right Here Right Now. 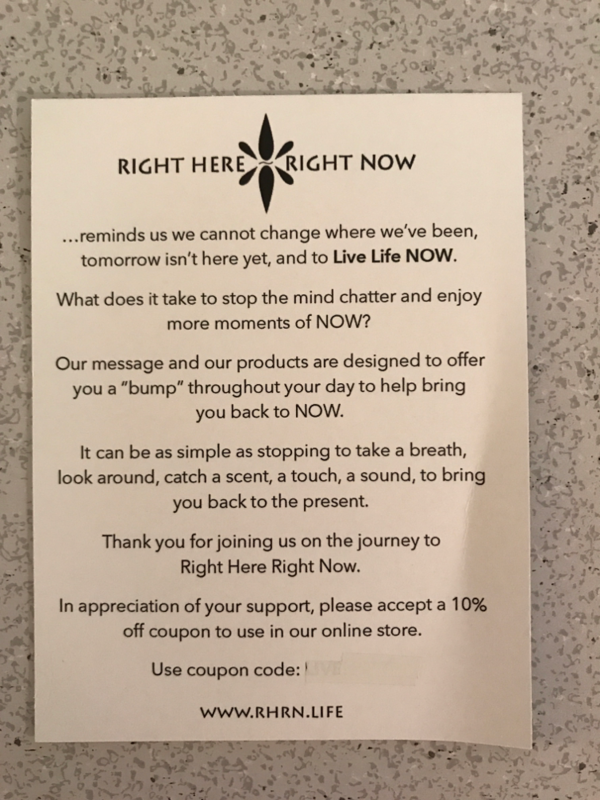 Right here right now also donates 5% of sales to two different organizations. They are Hands across the sea and Freedom service dogs of America. 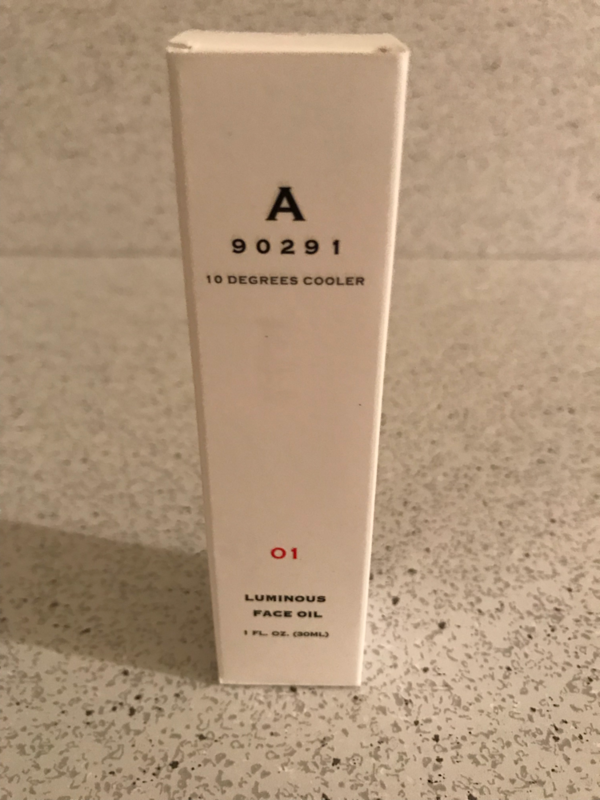 This product alone pays for the box more than double!! I unfortunately do not like oil or anything oil based, however I gave it to my grandmother and she absolutely loves it!! You don’t need much product and it absorbs into the skin pretty quickly. 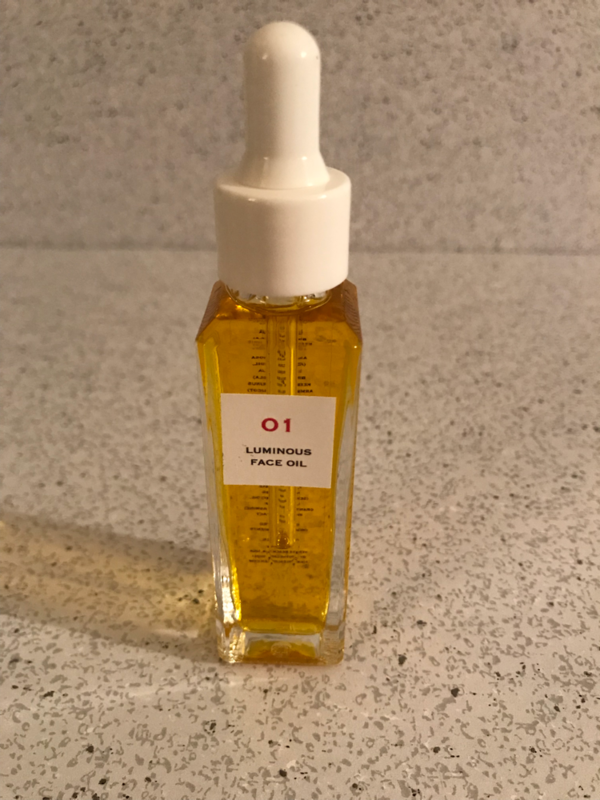 This oil does so much including protecting the skin from sun, pollution, and free radicals. It also has a lovely floral scent. The purchase of this oil gives back to multiple organizations including Heal the Bay. Apothecary 90291 donates to Community Healing Gardens. These are my favorite product in the box! These are just beautiful handmade pottery bowls. 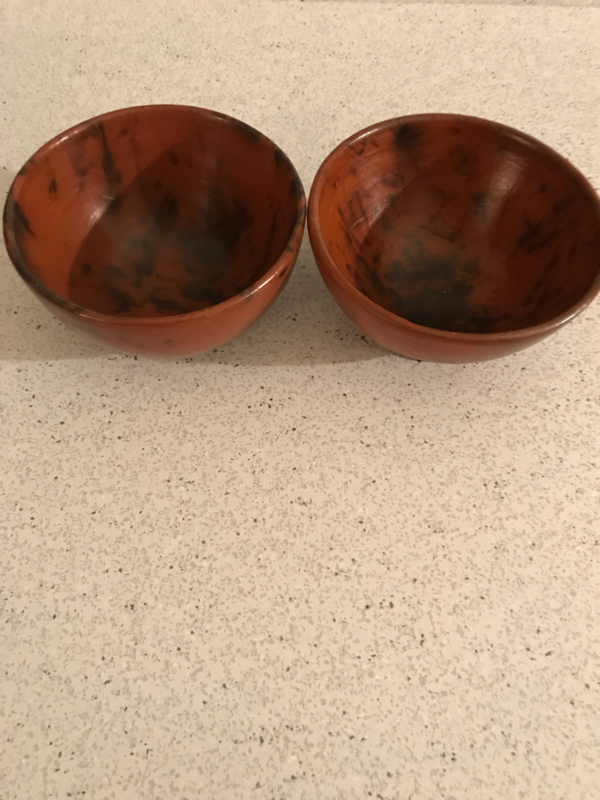 These bowls are made by women in Indonesia, where they dig the clay near their villages. The women shape these by hand, so no two products are alike. 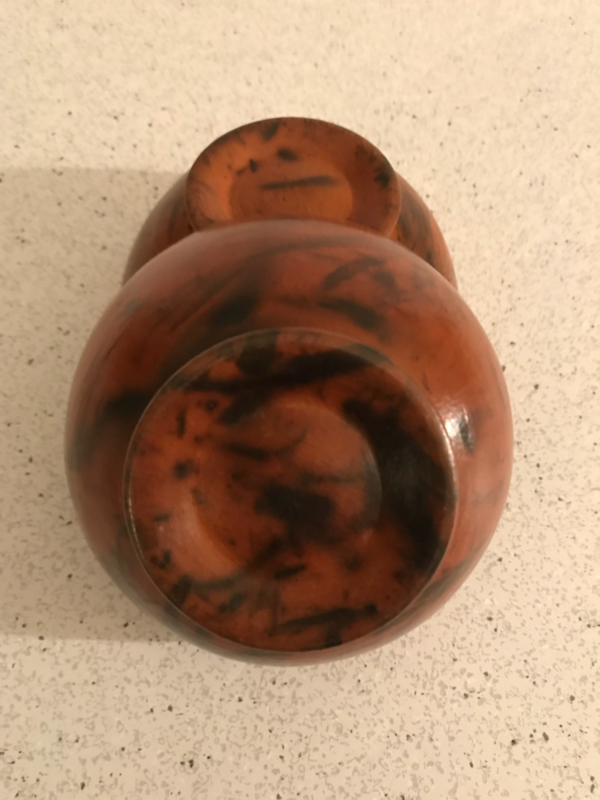 I love these to sit out as decoration, or you can use them as rice bowls, or bowls for ice cream, or to even set on your desk with hard candy in them. I think that they’re too beautiful to keep away. Ten Thousand villages works with communities to improve the lives of the makers through supporting their craft and providing sustainable income. They also do so much more. 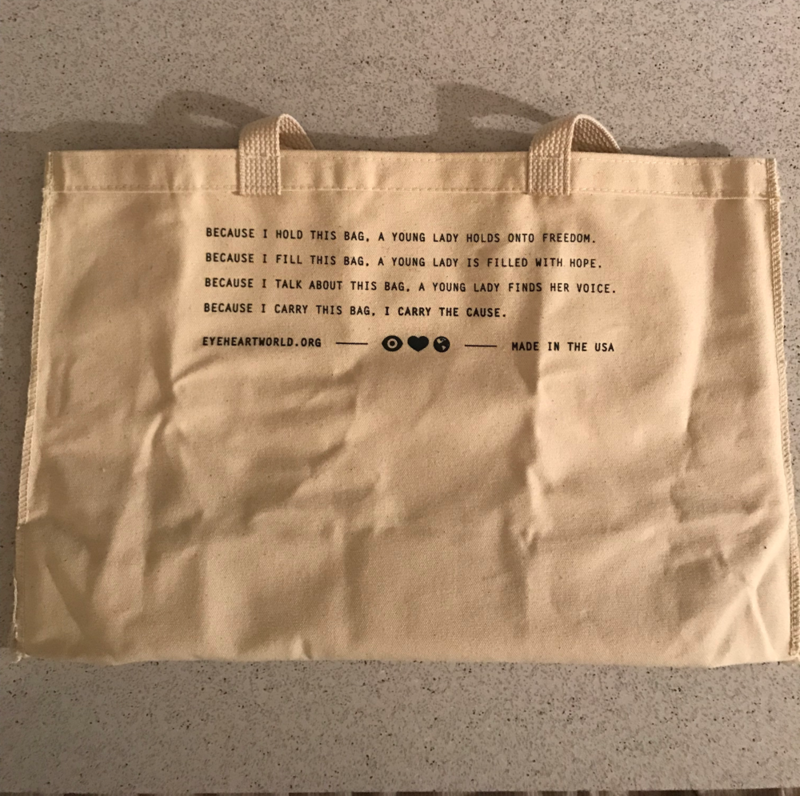 This photo here shows the inside of the Tote. The Tote was named after Harriet Tubman. 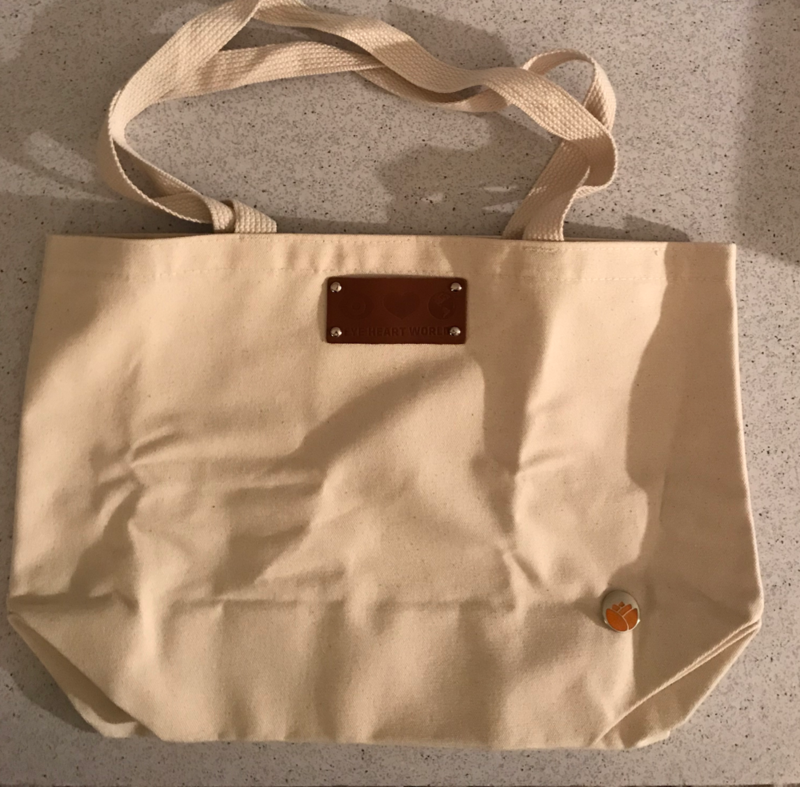 This is a great durable tote bag to take to the market. I love these bags and I find them so useful, instead of getting the plastic bags from the market. This bag is absolutely beautiful with the leather patch. When you carry it, you can see the inscription on the inside. The purchase of these bags helps provide aftercare for victims of human trafficking. Overall review: This box come to a Retail Value Of $196.96!! That’s amazing! The box contained 5 products which fits with the guarantee of 4-6 products. All the products are absolutely amazing. I of course didn’t use the oil, but my grandmother did, so everything in this box definitely got used. I also love how each product go towards supporting an organization. Not just the box, but each individual item. 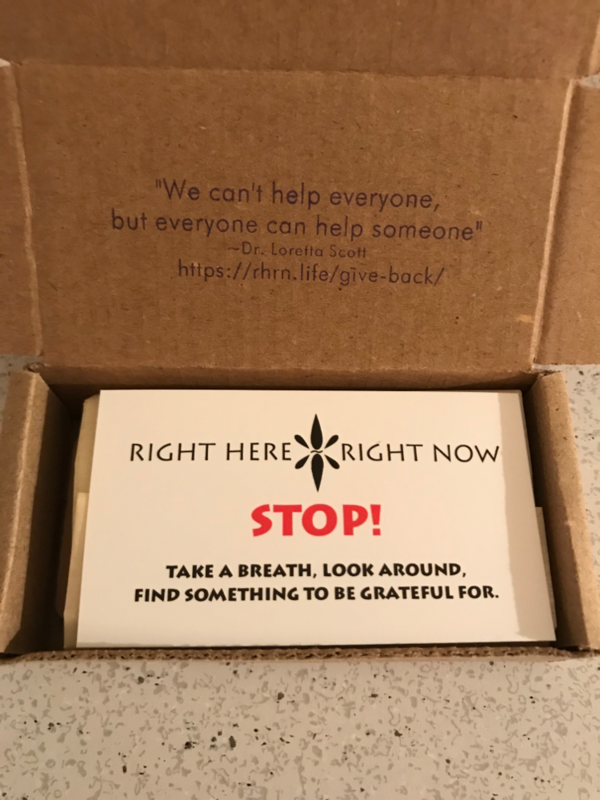 If you’re looking for a box that will give you great iteams and help others in need, this is definitely the box for you! 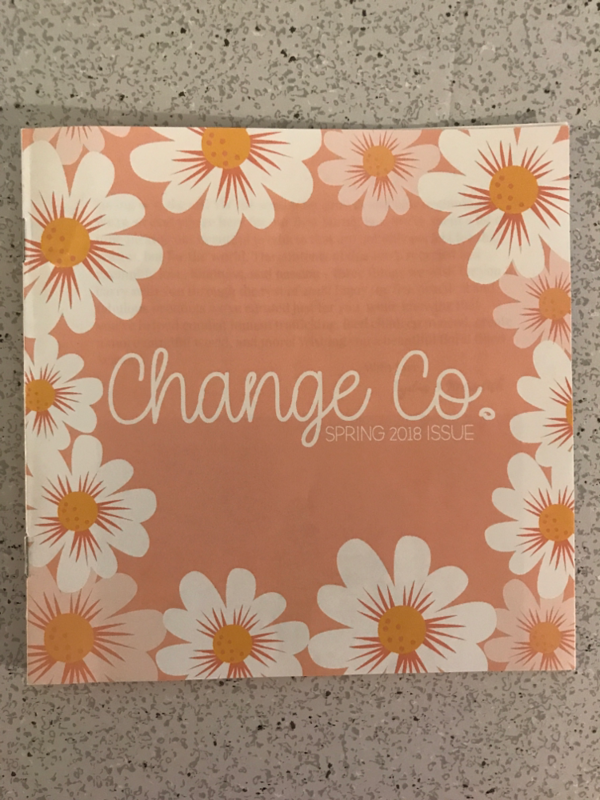 What do you think of your spring Change Co. Box?